Mar - 05 | By: POWFest | one comment. 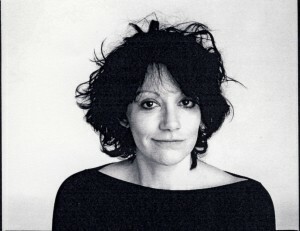 Portland, Oregon – March 5, 2012 –Portland Oregon Women’s Film Festival (POWFest) organizers are thrilled to host internationally acclaimed director, Amy Heckerling, (Fast Times at Ridgemont High, Clueless) as this year’s guest of honor. Each year, POWFest seeks to pay tribute to those women who have been pioneers in the filmmaking industry, while also creating opportunities for those who are just getting their start. Previous years’ honorees include 2010 Academy Award winner for Best Director, Kathryn Bigelow; Academy Award Nominee for Best Short Documentary, Irene Taylor Brodsky, director Allison Anders and Australia-born director, Gillian Armstrong. In Portland to support women making films, Ms. Heckerling will be in attendance for a special 30th anniversary screening of one of her most famous – Fast Times at Ridgemont High, scheduled to take place during the festival on Friday, March 9th, 2012. Heckerling is one of a few women to break through the Hollywood gender gap and have a long-running, successful career producing films that have consistently been top box office draws. She is traveling to Portland to support POWFest by making a special appearance to screen and discuss her seminal film, Fast Times at Ridgemont High – a film that recounts Rolling Stone writer Cameron Crowe’s high school experiences. Film enthusiasts and the public at large are encouraged to attend this unique opportunity to hear about Heckerling’s filmmaking process firsthand The screening kicks-off at 9:15 p.m, followed by a Q & A with Heckerling moderated by author, filmmaker and critic, David Walker. The event will take place at Portland’s historic Hollywood Theatre located at 4122 NE Sandy Blvd. Tickets for the event are $10 and can be obtained at www.powfest.com, as well as The Hollywood Theatre box office. For more information, go to www.powfest.com. Sponsors for the evening include SAGIndie and Video Verite. POWFest showcases the art and cinematic contribution of women directors from around the world and seeks to present films that have been directed or co-directed by women; of any length, style, or genre. By providing a platform to exhibit the work of today’s top women directors, POWFest is helping to create opportunities for women working in all areas of the film industry. By honoring female pioneers in film, we provide the support and recognition necessary for the next generation of leading women filmmakers. In the past five years POWFest has hosted several prominent and very accomplished women directors: Allison Anders, Irene Taylor-Brodsky, Kathryn Bigelow and Gillian Armstrong.